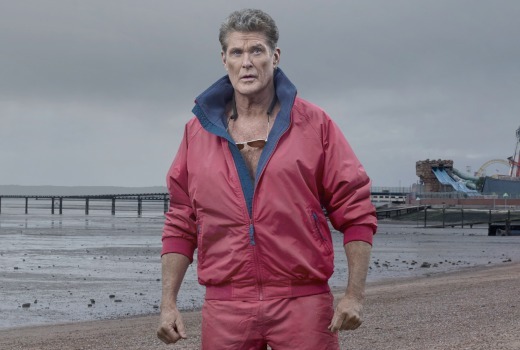 David Hasselhoff’s new mockumentary Hoff the Record will screen on the Comedy channel from late April. The 6 part series, which plants the former Baywatch star in the UK, was produced for Brit channel Dave, where it aired last June. Shot like a documentary, the semi-improvised comedy Hoff the Record follows TV legend David Hasselhoff – playing a highly fictionalised version of himself – as he arrives in the UK in an attempt to reignite his flagging career. It’s been thirty years since he rose to worldwide fame in Knight Rider and Baywatch and things have since gone a little stale for The Hoff. Will a move across the Atlantic change his luck? Wednesdays from April 27 at 8.30pm on the Comedy Channel.